New Jersey has wine bars that have been recognized nationally due to their incredibly vast selection of vintages. So, if you are a wine connoisseur, New Jersey is actually a top destination to visit in the country, where you can taste prestigious wines produced both locally and internationally. Sip and savor the different vintages and pair your favorite bottle with an excellent cheese or meal at one of these top wine bars in the state. Annata Wine Bar brings Tuscany to Main Street with its selection of more than 125 vintages. Each selection of wine is available by the glass or the bottle and they stock both local and foreign wines. Sip a glass of the Amalthea Cellars pinot noir, taste a fruity DiMatteo Vineyard Blueberry, or opt for a glass of the exotic Cloudy Bay from New Zealand. 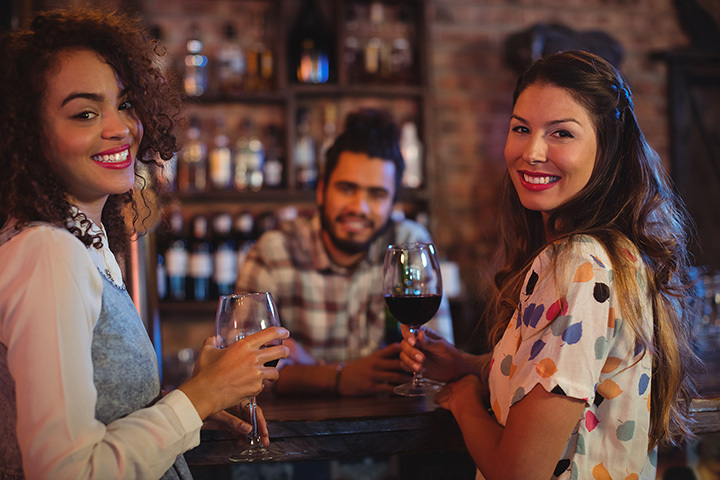 With an award-winning wine bar and a flavorful menu full of authentic Italian food, Spuntio Wine Bar should be the top of your list for a date night. The restaurant boasts over 1,800 bottles of wine stored in temperature controlled cabinets, and the vintages range from local to international. Enjoy a delicate sparkling wine or rosé, or opt for a wine flight to taste several different varieties. If you’d like to taste wine directly from the maker, Faustini Wines offers guests a warm, open space for tastings and gatherings. Wines are produced from grapes grown in Napa Valley, California, bringing the famous California flavors to the East Coast. Cheese and chocolate pairings can also be enjoyed with one of their bottles or flights. Just Grapes serves up tapas, such as mozzarella, bruschetta, and mussels, that pair perfectly with their selection of wine. Their sangrias are also stand-out and several different varieties are available. About 40 varieties of wine are available by the glass, and Just Grapes also serves beer, champagne, and port. Rosie’s Wine Bar has exciting, economical events on Sunday through Wednesday as well as weekly happy hours. For wine-lovers, their Wine and Dine Wednesday is the perfect change to relax amidst the craze of a busy week. Wine options change seasonally to allow you to taste more varieties and they offer a create your own flight option. More than 250 bottles of wine are also available to drink in-house or take home. Tree Tavern is a sophisticated yet relaxed wine bar that offers visitors a space to unwind and catch up with friends over a glass or shared bottle of wine. The wine menu is 24 pages long packed with reds, whites, sparkling, and dessert wines. They also offer meals, snacks, and cheese plates to accompany your wine. Lift your glass to your nose and inhale the fruity, sweet, or smoky scents of numerous wine varietals offered at the Wine Loft. This classy wine bar offers bottles and glasses from the top wine regions of the world including California, South Africa, Italy, Washington, France, and Argentina. Those visiting on a Friday night will be treated to live music, which pairs well with the wine, ambiance, and tapas. Aumm Aumm is an Italian pizzeria and wine bar that aims to bring Naples to New Jersey. They have 150 wines available at their restaurant and feature wines from Italy, California, and other famous wine-producing regions. The ingredients used to produce their pizzas are from the Naples area, which ensures the quality and authenticity of the pizza. The wine also accompanies the pizza perfectly, making this an all-around tasty dining and drinking spot. With red walls, dim lighting, and chandeliers, Grove Square has created a romantic setting in which to enjoy their wines. The wine list features wines by both the glass and the bottle and varieties are described by their dominating flavors. Grove Square is also available to host weddings and other parties. Located in a historical Revolutionary War-era farmhouse, the Pluckemin Inn stocks more than 40,000 bottles of wine, so if you are a true wine-lover, this is the ultimate local destination. All wines are stored in its three-story wine room and all wines pair well with different items on the food menu. The wine menu is massive, with an ample selection of sparkling, dry, and sweet wines available from destinations across the globe. Dom is in the house! DP dinner with 2006, 2009, 2000 P2, 2005 Rosé and 1996 P2 Rosé. Menu to match!